Our Barn* Cat adoption program is for cats that would not be happy confined to living in a home. *Don’t be misled – no barn or farm required! Do you have a shed, stable, garage or other type of outbuilding? Consider adopting from our barn cat program. Barn cats provide natural rodent and pest control! These cats typically enjoy free access to the outdoors, where they can come and go at will. Territorial by nature, they’ll rarely venture far from their home turf. They understand the safety of shelter and predicability of a food source in the shed, barn or garage where they are housed and fed. Barn cats do best in groups and should not be the only cat. Because barn cats did not receive enough (or any) human interaction in the weeks and months after birth, they do not feel completely at ease and comfortable around people. As an adopter, you should understand that these cats are unlikely to become social, affectionate, lap cats. They will most likely remain shy and skittish around people but may warm up to those who take care of them, particularly those who feed them. Not being socially confident, these cats will need your support and patience to transition to their new home/property. A slow introduction to their new living situation by way of confinement (in a secure stall, tack room, large dog crate, etc.) will allow them to get accustomed to the sounds, smells and routine activity of their new home. After a few weeks of acclimation, the door should be opened (and left opened) so the cat can begin exploring. Many may retreat back to the confinement space for comfort and security, so it should remain available. Eventually (and how long that takes differs for each cat), barn cats will feel completely at home. AWS Barn Cats are spayed/neutered, up-to-date on vaccinations, and have tested negative for feline leukemia. 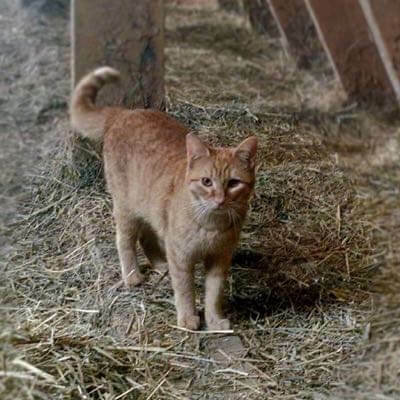 To see which barn cats we currently have available, please visit our cat adoption page. Interested in learning more? Our adoption counselors will work closely with you to ensure you have all the resources you need to make the transition a safe and successful one for your new barn cat(s).